I'm a very keen swimmer and always have been. I've trained up to a competitive standard, however due to lack of funding have never been able to compete. I have always struggled to keep track of how many lengths I have done. Does anyone have any creative or easy ways to help me remember? You push the button at every turnaround. The device counts the lengths and records the time for each. You can view the times, as well as the average etc, at the of the session. Some of the functions (e.g. pausing the clock) are a little awkward to use on my lap counter. However, I don't find this to be a major inconvenice. The two ways I used to do it was count in pairs, so only 2, 4, 6, 8 etc. That makes it much easier to keep track. The better way I started to use when I was doing distance swims was to count the distance instead of the number of lengths. So if I was doing 1500m in a 25m pool then 60 lengths are really easy to loose track on, just 25, 50, 75 is easier. Or couple these together and do it 50, 100, 150 etc. After a while you just get used to counting anyway and will do it subliminally. 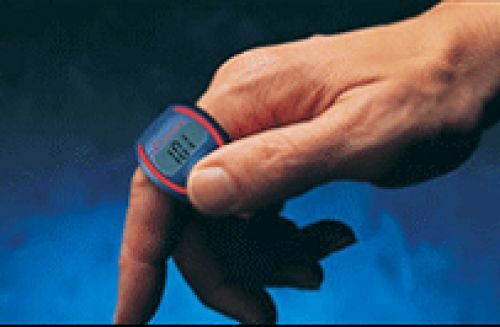 I use a small finger ring device, COUNTU Goal, as my swimming lap counter and timer. You push the button for each lap, without any interference. It can work as timer and lap counter, and can show relevant time and lap statics data. And the most useful function is vibrate alarm function, which can alarm you through vibrating your finger when you achieve your workout.